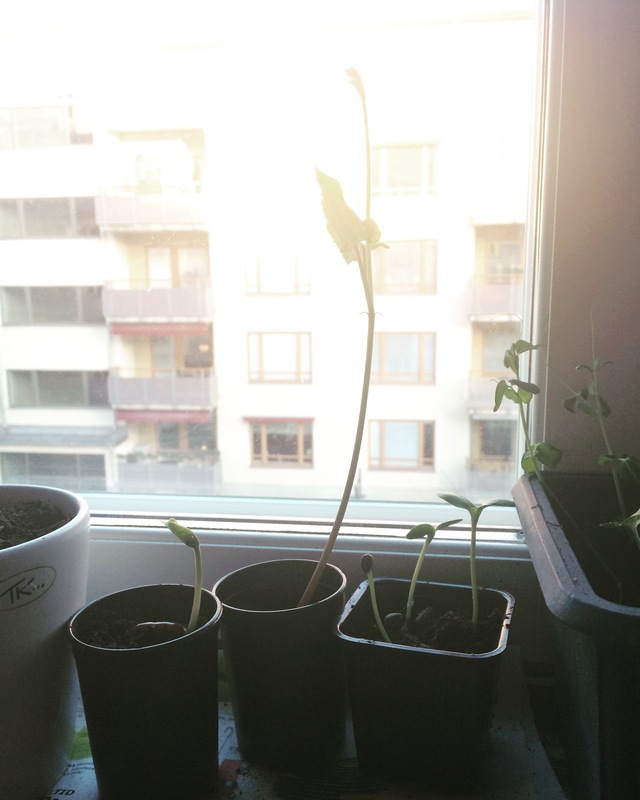 My plant experiment of the year is surprising me (as it does every year I would say): it grows so quickly (and it usually does around the summer when we live for vacations). This little lurifax in the middle grows with maybe 5 cm every day. If I remember well, it will be flowers. The plan is to put them against the wall on our balcony but it is a way too early here, too cold at night. Ok, I need to order a phone before I go to work, lets be poor and environmental unfriendly!